In the spring of 2014, the visitors to the legendary river Em got to enjoy the best spring fishing in years. The premiere week of 2014 was exceptionally good at the fishing stretch of the river Em. The reason is believed to be a bigger run of spawning fish in the previous fall. Also exceptionally fortuitous conditions like the early spring contributed to the fine fishing. Andrew McGall recounts a 40th fishing trip to remember. Proud, but not surprised, that this fantastic fly pattern has given me hundreds of big salmon over the years! Voted as the best pattern on the best salmon river in the world – awesome!. During my nearly three decades of experimentation with fly lines I have acquired some kind of an understanding about their anatomy, particularly those for two-handed rods, and an idea of what makes a good fly line. 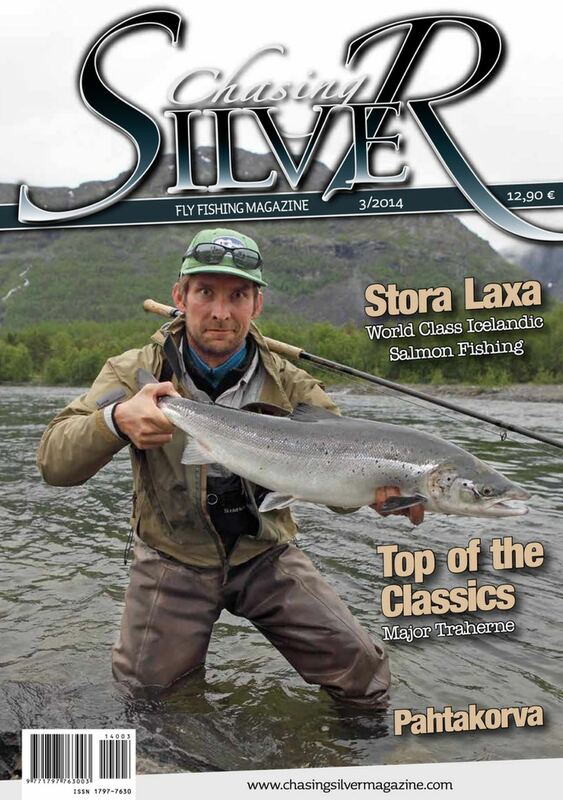 Iceland boasts some of Europe’s most beautiful and productive salmon rivers, and Stora Laxa is among the very finest. Sometimes you imagine how a country and a river should look but there are often times when it is not as you imagine in your head. I sit at the veranda of Las Buiteras Lodge close to the Rio Gallegos, sip on a cup of coffee and ask myself, ‘Am I really in Argentina? ￼Major John Popkin Traherne was one of the most respected salmon fishermen of the late 19th century, but today he is mostly remembered for his exquisite salmon flies. We tested double hand travel rods for salmon fishing. A travel rod is an appropriate choice for a fly fisher who travels frequently by air and transports his or her rods in a suitcase. What kind of double hand fly rods are available, that can be packed inside a suitcase? We decided to find out.